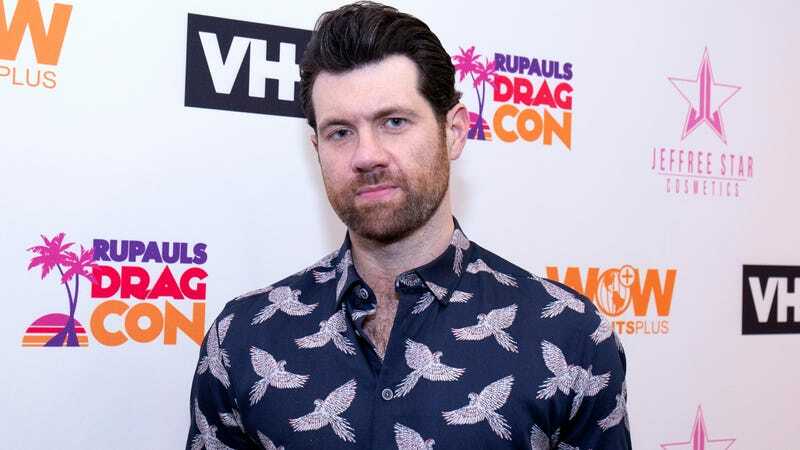 Billy Eichner has been busy lately, from screaming at people to get off their asses and vote to interviewing former Vice President Al Gore at the Teen Vogue Summit in New York—not a statement we could’ve envisioned typing back when we were watching season one of Difficult People, but here we are. And now, the writer-actor has another project on his docket, one that allows him to wear sweatpants and not brush his hair. Deadline reports Eichner has signed on to executive produce, co-write, and co-star in a new animated comedy, Time Travelin’ Jerk, for FX. Created by Eichner’s Billy On The Street producing partner Doug Brady, the show is described as “Back to the Future meets Groundhog Day.” It follows Ashley, a “whip-smart millennial girl” who gets stuck traveling through time and is forced to make the best of it. Eichner will provide the voice of Parker, an awkward accountant and Ashley’s partner in time travel. No premiere date has yet been announced, though Deadline notes that FX has been looking for an animated series to pair with Archer for quite some time, and presumably wants to get some of that hit series’ viewers to check out Time Travelin’ Jerk before Archer ends. (H. Jon Benjamin has suggested next season might be the last for his spy/private eye/airplane pilot.) We’ll be watching regardless, though we wouldn’t mind if he appeared in the flesh during commercial breaks to loudly and insistently ask if we appreciated that last plot twist.